Indications: Suggested to inhibit histamine reaction; allergy medication. Summary Recommendations: Clarinex is suggested to treat, prevent or reduce symptoms of allergy. 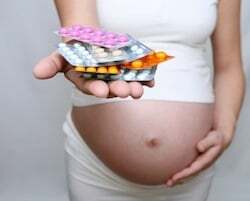 It is best to continue taking the medication if you find out you are pregnant until you can talk with your allergist or obstetrician about potential side effects. The FDA has placed Clarinex in category C, which means potential side effects have not been ruled out, so it is imperative to contact your physician immediately after testing positive for pregnancy. General Precautions: Clarinex is generally suggested for patients with seasonal allergies, but the medication can be suggested for off-label use. Patients should continue taking Clarinex as prescribed as symptoms may return if the drug is suddenly stopped without a treatment plan in place. Some patients have reported allergic reactions to Clarinex (desloratadine) and Claritin (loratadine). If you have suffered symptoms of an allergic reaction when taking Claritin, Clarinex is not a safe alternative. Patients with known drug allergies, liver disease or kidney disease should discuss the pros and cons of taking Clarinex with a physician before taking the medication. Clarinex is available in disintegrating tablets. The tablets contain phenylalanine. Patients with PKU (phenylketonuria) should not take the disintegrating version of Clarinex. Clarinex may cause dry mouth, drowsiness, headache or muscle pain. A small number of patients report increase heart rate, flu-like symptoms and seizures. If you feel you are having severe side effects to Clarinex, contact your physician immediately. Effects While Trying to Conceive: Clarinex is not associated with impaired female fertility, but animal studies have shown a negative reaction in men. At extremely high doses, Clarinex caused decreased conception, impaired sperm motility and reduced sperm numbers in rats. There is no indication the same reaction can occur in humans as the dose given to lab rats was about eight times that of the suggested therapeutic dose of Clarinex for humans. Effects on Pregnancy: There are no clinical studies showing negative side effects when Clarinex is taken by pregnant women, but there is a huge gap in clinical research and some animal studies have revealed potential side effects; use of Clarinex during pregnancy should be limited. Safe During Breastfeeding: Clarinex should not be taken by children less than two years old. The medication does pass to infants in breast milk. It is suggested that breastfeeding mothers either discontinue taking Clarinex or discontinue breastfeeding. Talk to your obstetrician or pediatrician about safer alternatives, such as Claritin.